12 eco clubs attended the camp. There were feedback sessions on the work the eco clubs had accomplished between in 2017 and 2018. This included garbage cleanups in their local areas, surveys of springs, and raising awareness for WWF’s two signature animals in western Mongolia – the snow leopard and saiga antelope. Additionally, WWF mentors and teachers helped the youngsters plan their next moves for 2018-2019. This saw many enthusiastic ideas been put forward as well as ambitious goals. WWF-Mongolia’s Altai Sayan branch hosted the summer eco club camp. 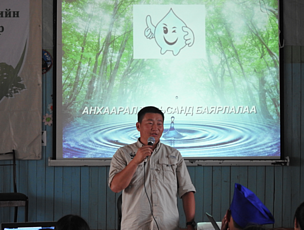 The week-long event was held in Zavkhan Province at Dayan ochir campsite. 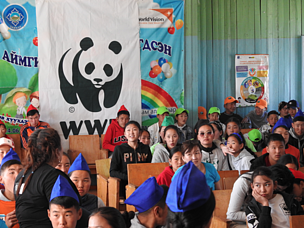 It was an ideal setting for eco club kids from Uvs, Khovd and Govi-Altai provinces to meet, relax and discuss important conservation themes. One of the highlights of the camp was the outing to White Lake. It’s a 4 km hike through the montane pine forests, and on the day it was hot and humid, the air heavy with rain. But the eco club kids soldiered on, banners waving and full of cheer. The reward was an empty beach and refreshing water at the lake amid horses and gers. Of course, it wasn’t all graft, sweat and toil. Every evening eco clubs from each province took turns in providing evening entertainment. There were dances, movie screenings, drawing competitions and singing contests.When it was time to return home, it must be said the eco club kids had acquitted themselves really well. They had learned valuable lessons and forged new connections with members of other eco clubs. 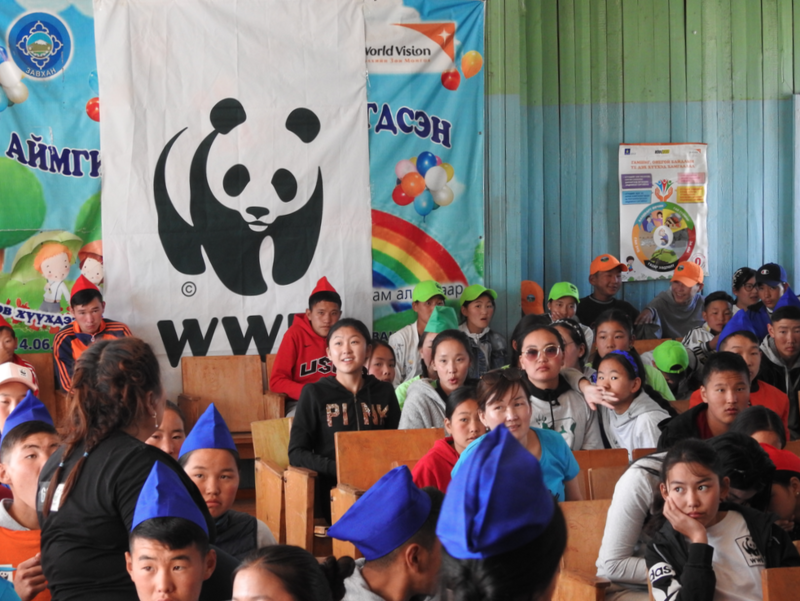 WWF mentors and teachers helped the youngsters plan their next moves for 2018-2019. They had learned valuable lessons and forged new connections with members of other eco clubs.